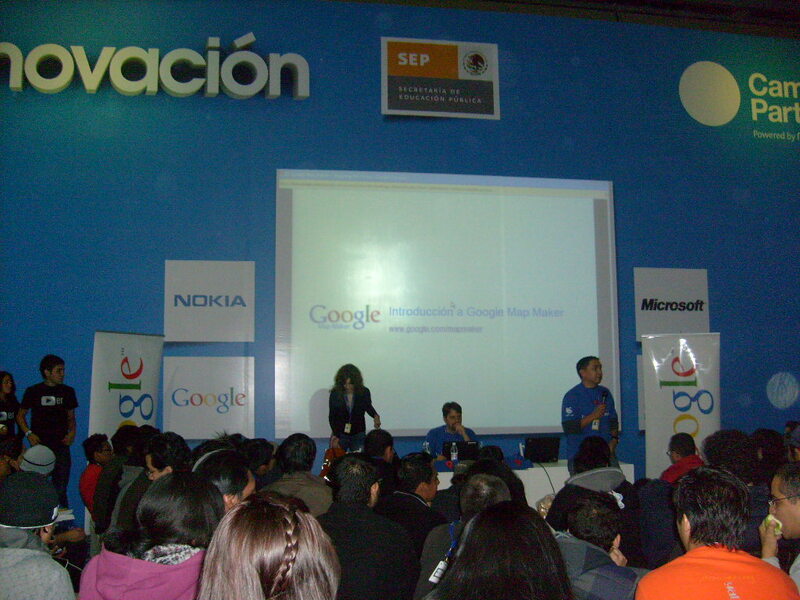 mapping competition in Latin America during a live session on Map Maker at the Campus Party Mexico 2009. The competition officially kicked off at the event in Mexico city, where tech enthusiasts from all over the country got to know first about the Map Maker competition. Participating in the Campus Party allowed us to enjoy not only a warm welcoming from our Mexican audience but also learn about their sincere interest in improving the geographical data for their country. Our presentation included a demo on Google Map Maker main features like how to add points of interest, moderate changes from other users or edit driving directions. There was time to discuss the brand new Google Maps Mexico (htttp://maps.google.com.mx/) and all the new & exciting possibilities Mexican users have in their country: looking for addresses, points of interest or local businesses, photos and reviews from other users, creating your own maps with My Maps, adding your business to the map through the Local Business Center or exploring one of the seven first Latin American cities available in Street View (Mexico City, Monterrey, Guadalajara, Puebla, Puerto Vallarta, Cancun, Playa del Carmen and Cozumel). The Campus Party started in 1997 in Spain as an event for passionate Internet users and since then, it has become an essential meeting point for those interested in understanding new information technologies. Nowadays, there are four different yearly editions of the event at Valencia, São Paulo, Bogotá and Ciudad de México and almost 40.000 registered campusers worldwide. Now, you can map the areas you know best in Latin America and possibly win a prize while you are at it! The Map Maker competition runs from November 14th until December 15th and all Latin American lovers are invited to participate. You can find all the details, Terms & Conditions and the entry form for you and your team members at http://mapmaker.google.com/competition. We were also excited to announce the prizes for the winners of the Map Making competition. Winners will be based on those with the biggest volume and highest quality of edits and moderations during the Map Maker competition; among others, 100 laptops for a university or school from the winning city, a netbook for each member of the best team or a laptop for the top individual contributor. Winners will also enjoy an all included trip to the 2010 Super Mappers Conference, which will be an amazing opportunity to share your mapping passion with other top contributors and to get to know the Google team. Because you know your neighborhood better than anyone, put it in the map and let the competition begin! 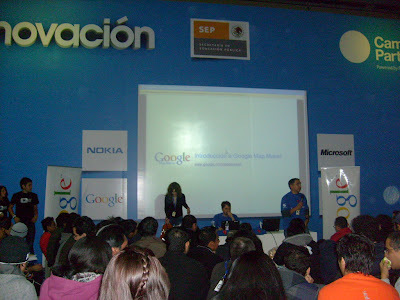 This past Saturday, we launched the first ever mapping competition in Latin America during a live session on Map Maker at the Campus Party Mexico 2009. The competition officially kicked off at the event in Mexico city, where tech enthusiasts from all over the country got to know first about the Map Maker competition.